Premier Auto Imports has assembled an experienced team of used car sales professionals that will help you find that right car ( and in that right price range that works with your budget ). Come meet our team and see why we have a Better Business Rating of A+ . Premier Auto Imports in Temple Hills, Maryland and Waldorf Maryland offers used cars at the lowest prices. We have a large selection of used cars, trucks, vans and SUV and service the greater areas of Bellevue, Oxon Hill, Morningside and Waldorf Maryland. At Premier Auto Imports in Temple Hills, Maryland and Waldorf Maryland, look forward to serving all of your Pre-Owned needs and we hope that we can help you with your next Pre-Owned purchase. We have helped customers from Forestville, Hillcrest Heights and Friendly with their Pre-Owned needs and we look forward to helping you. Premier Auto Imports in Temple Hills, Maryland and Waldorf, Maryland is one of the leading dealers of Pre-Owned vehicles in Temple Hills, Woodbridge, Bellevue, Oxon Hill, Morningside and Waldorf Maryland. We carry one of the most complete selections of Pre-Owned vehicles available in Maryland … and at the best prices ( always within your budget ). 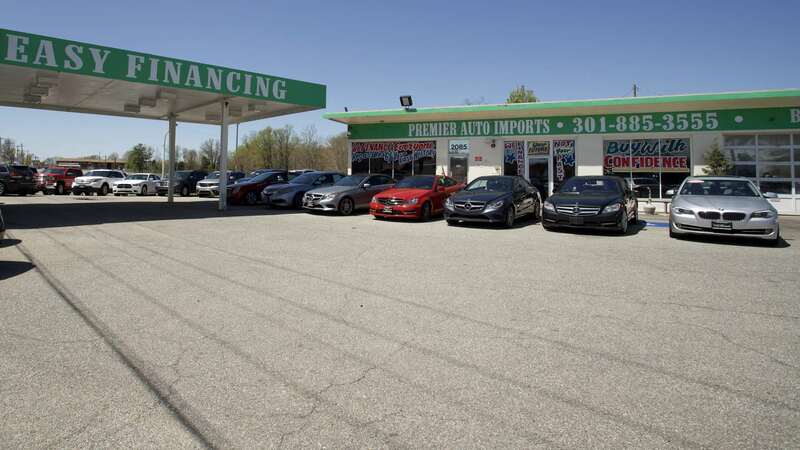 At Premier Auto Imports in Temple Hills, Maryland, and Waldorf Maryland, we are your one stop shop for all your Pre-Owned needs. At Premier Auto Imports, customer service is our number one priority. . No other Pre-Owned dealership in Maryland sells more used vehicles and has more satisfied customers than at Premier Auto Imports. Our customers come from cities such as Forestville, Hillcrest Heights and Friendly because they know our reputation and understand that we stand behind every sale. Our BBB A+ rating tells them that we are the premier dealer in Waldorf Maryland and Temple Hills Maryland for Used Cars. We hope that you find our website helpful to your used car search. Use our website so you can research the best Pre-Owned car, Pre-Owned truck, Pre-Owned SUV, or Pre-Owned van that you would like to purchase, search our inventory of all the used cars that we offer at the lowest prices, request a vehicle price quote, find the value for your trade, view pictures and data about our huge inventory, learn about our latest specials on the Pre-Owned cars that we sell. Whether you are from Bellevue, Oxon Hill and Morningside, Forestville, Hillcrest Heights and Friendly, or from anywhere in the Temple Hills or Woodbridge area we hope you will give us a chance to show how Premier Auto Imports is the best Pre-Owned car dealer in all of Temple Hills, Maryland and Waldorf Maryland.